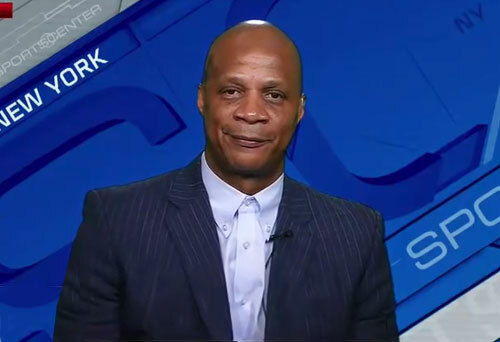 Darryl Strawberry is a retired MLB outfielder who played for the New York Mets, the New York Yankees, the Los Angeles Dodgers, and the San Francisco Giants. Strawberry was well known for his “fearsome home runs and intimidating 6-foot-6 presence in the batter’s box.” Strawberry also worked as an instructor for the New York Mets in 2005 and 2008, and was inducted to the Mets Hall of Fame in 2010. He has made regular appearances at the New York Yankees’ Old Timer’s Day and is a popular cancer speaker and Christian speaker. Sports Speakers 360 is a booking agent for pro athletes. If you would like to book athletes like Darryl Strawberry for a speaking engagement, appearance or endorsement, contact a Darryl Strawberry booking agent for fees at 1.855.303.5450.